For the past several months, I have been busy behind the scenes working on some epic updates for Stamp Collecting Spot. Testing new features on various test websites. Tweaking stuff till they work just how I want. And testing again. Stamp Collecting Spot as you see it today will get some major updates in the near future – hopefully this weekend (May 6th or 7th). No longer will it be a simple blog. Although the blog will remain, I’m going to be rolling out 3 HUGE new features that I think everyone will love. The Q&A page will be much like a forum but without sections for general discussion and off-topic conversations. It’s meant for asking questions, and getting answers. It will also be a great way to interact with fellow philatelists, build new relationships, get your questions answered, and of course, increase your philatelic knowledge. Got a philately-related business? You’ll love this. The third and final new feature allows dealers (including eBay dealers), auction houses, other stamp websites, or ANY philatelic business to add their company info to a directory of philatelic businesses – totally free of charge. Perhaps down the road, featured listings will be an option. Businesses could pay to have a “Featured” listing that always shows at the top, but for now, we’ll just start with the directory and later find out if there would even be any demand for something like that. The business directory will be a great way to advertise and gain exposure, at literally no cost. I have several more exciting features I’d like to roll out at Stamp Collecting Spot and I’ll be working on them when I have the chance. These ideas are all about the direction I’d like this site to go in the future. This is something I’ve wanted to implement almost since the very beginning, but writing up a quality course is difficult work. My goal is to create a stamp collecting course that covers as much about philately as possible – enough so that students who complete it will have more philatelic knowledge than 90% of today’s collectors. I know this is a lofty, perhaps impossible (but nothing’s really impossible, right?) goal, but the challenge excites me. Even if the course is rather rudimentary, I’ll still be happy. I think it would be awesome if a bunch of different philatelic experts could contribute regularly to Stamp Collecting Spot. This is one of my goals and I think it would be a really valuable thing for experts to share their extensive knowledge with the rest of us. How about a calendar that ANY member of Stamp Collecting Spot can contribute to? So, if you know of a stamp show coming up – or even a club meeting – you can post it to the public calendar, visible to every member. Much like a business directory for philatelic events, the calendar would be an excellent way to promote shows, club meetings, and even things like on-the-road courses and online webinars. My ultimate goal for this website is that it becomes the go-to online resource for philatelists, both beginners and experts. Although right now that goal is very far away, I think adding social networking abilities, forums, and a business directory will be instrumental in reaching that goal. What do you think of these soon-to-be-implemented features? Let me know down in the comments below! 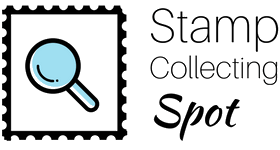 Next PostStamp Collecting Spot 2.0 Is Here – Amazing New Features Released! I appreciate your support, and am excited about the launch!